Astral projection is one subject I receive a particularly large number of questions about every week. In recent years Astral projection, and the related Out of Body Experiences have seen a tremendous upsurge of interest, with increasingly more people wishing to experience the inner realms of reality, and thereby discovering the inner truths for themselves. This is no coincidence. From around 1987 we have been entering a new era, manifesting on Earth in many, still subtle ways, but in particular influencing the vibrations that affect everyone on Earth. As these influences accelerate, increasingly more people will become aware of them, and will feel the inner urge to take action. These urges are for good reason; over the next few years it is becoming increasingly apparent that profound changes will take place, and those who are already familiar with the inner realms of reality will be in a much better position to assimilate them. Many people who contact me have been reading the various books dedicated to the subjects of Astral Projection and Out of Body Experiences, but have become increasingly frustrated with lack of progress, and understandably so. 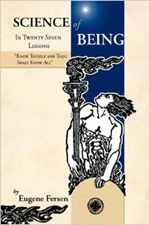 Unfortunately many of these books focus on the mystical, esoteric and occult aspects and methods of achieving these abilities, and are therefore largely unsuitable for the vast majority of people. The truth is, Astral Projection and Out of Body Experiences are, like psychic abilities, well within the capability of every single person without exception. It is only the descent of the human race into an increasingly materialistic focus, away from the inner realities that has caused mankind to forget these crucial abilities, thereby isolating most people from their true Spiritual nature, with the Spiritual loneliness and isoltaion that results. Many people are tempted to look towards the various "pills" and "potions" that are advertised on the Internet in the hope these will provide "instant Astral Projection". The fact is they cannot and will not work, and will only lead to further disillusionment. There are substances, known as "entheogens" as used by the native "shamans" of central America to reliably bring about Out of Body experiences, but these are potentially very risky indeed to use without the correct knowledge, experience and guidance. These shamans have been using these natural substances for thousands of years, and have an extremely advanced understanding of how to prepare and use them in order to achieve the desired results. So where do we start if we wish to experience Astral Projection and exosting outside of the constraints of the physical body?? Well the good news is that it is not necessary to put time aside during the day in order to practice a series of convoluted mystical procedures. The fact is we all project from our physical body every night during "sleep". The point of projection is characterised by what is known as "Rapid Eye Movement, often known as "REM". The Astral body and Energy body moves out of phase with the physical body in order to re-charge with Energy from the Universe through Energy centres known as "chakras" during sleep. It is due to this "re-charging" that we awake in the morning feeling refreshed and "full of Energy". Of course the vast majority of people are completely unaware of this process due to the fact the Mind, like the body is asleep; i.e. unconscious. There is however some evidence this process occurs. One of the most common is suddenly be jolted awake after a feeling of falling from a great height. This in fact is caused by the Energy body suddenly reuniting with the physical body. Many people also experience vivid dreams involving the feeling of flying for example. In these cases the Astral body rather than remaining just out of phase with the physical body, has decided to go on an Astral adventure, sometimes for recreation, but very often for much more serious purposes, for example to meet a person or people residing in the Astral, to meet a Spirit guide, or to attend places of learning. The memory of these experiences is however unfortunately largely lost upon waking. Other fairly common experiences include awaking in state of "catalepsy" or paralysis. These episodes are characterised by waking, often early in the morning, but being totally unable to physically move. This can of course be quite terrifying unless you are aware of the reasons for it. Another experience that is often associated with catalepsy is the ability to "see through closed eyelids". In these cases the person can clearly see their surroundings, even though their eyes are still firmly closed. Both catalepsy and seeing through closed eyelids occur due to the fact that the mind of the person experiencing these has awakened, while the physical body remains asleep, and therefore consciousness is still focused within the Astral/Energy body rather then the physical body. This state however is ideal for an Out of Body Experience. If you wake up in state of catalepsy, or seeing through closed eyelids, all you have to do is to will yourself to float upwards, and you will find yourself full separated from your physical body. We can take advantage of this knowledge for creating the right conditions for an Out of Body Experience. Usually while sleeping we are in a state known as "mind asleep, body asleep". To experience being out of body we need to experience a state known as "mind awake, body asleep". There are two main ways of accomplishing this, both taking advantage of natural night-time sleep. The first is after going to bed at night remaining aware as the physical body goes to sleep. After the physical body has gone to sleep you can simply will yourself away from your physical body and travel anywhere you desire close to the physical Universe or the Astral planesby Astral projection. The second method, and this is by far the most common, is to bring about a situation where the body remains asleep when the mind awakes. The best time to accomplish this is early in the morning, around 3 hours before normal waking time. This is the time when catalepsy and/or seeing through closed eyelids is often experienced. There are several methods of achieving this, but which are broadly divided into two main methods; mechanical methods where which involves disrupting sleep patterns, and mental methods which involves programming the subconscious Mind to awake your conscious Mind after the physical body has gone to sleep. This method is highly effective just after going to bed, by programming the subconscious Mind to awaken the conscious Mind as soon as the Astral and Energy bodies have naturally separated from the physical body. Using these methods you will be well on your way to achieving both Astral Projection and Out of Body Experiences. The World Is Transforming. Stay informed with all the latest news. Privacy of your details guaranteed. 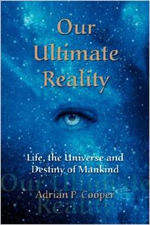 The ONLY True Law of Attraction Book You Will Ever Need.